Peru i/pəˈruː/ (Spanish: Perú; Quechua: Piruw; Aymara: Piruw), officially the Republic of Peru (Spanish: República del Perú, pronounced: [reˈpuβlika ðel peˈɾu] ( listen)), is a country in western South America. It is bordered in the north by Ecuador and Colombia, in the east by Brazil, in the southeast by Bolivia, in the south by Chile, and in the west by the Pacific Ocean. Peru is an extremely biodiverse country with habitats ranging from the arid plains of the Pacific coastal region in the west to the peaks of the Andes mountains vertically extending from the north to the southeast of the country to the tropical Amazon Basin rainforest in the east with the Amazon river. An alternative history is provided by the contemporary writer Inca Garcilasco de la Vega, son of an Inca princess and a conquistador. He says the name Birú was that of a common Indian happened upon by the crew of a ship on an exploratory mission for governor Pedro Arias de Ávila, and goes on to relate many more instances of misunderstandings due to the lack of a common language. The earliest evidences of human presence in Peruvian territory have been dated to approximately 9,000 BC. Andean societies were based on agriculture, using techniques such as irrigation and terracing; camelid husbandry and fishing were also important. Organization relied on reciprocity and redistribution because these societies had no notion of market or money. The oldest known complex society in Peru, the Norte Chico civilization, flourished along the coast of the Pacific Ocean between 3,000 and 1,800 BC. These early developments were followed by archaeological cultures that developed mostly around the coastal and andean regions throughout Peru. The Cupisnique culture which flourished from around 1000 to 200 BC along what is now Peru's Pacific Coast was an example of early pre-Incan culture. The Chavín culture that developed from 1500 to 300 BC was probably more of a religious than a political phenomenon, with their religious centre in Chavin de Huantar. After the decline of the Chavin culture around the beginning of the Christian millennium, a series of localized and specialized cultures rose and fell, both on the coast and in the highlands, during the next thousand years. On the coast, these included the civilizations of the Paracas, Nazca, Wari, and the more outstanding Chimu and Mochica. The Mochica who reached their apogee in the first millennium AD were renowned for their irrigation system which fertilized their arid terrain, their sophisticated ceramic pottery, their lofty buildings, and clever metalwork. The Chimu were the great city builders of pre-Inca civilization as loose confederation of cities scattered along the coast of northern Peru and southern Ecuador, the Chimu flourished from about 1150 to 1450. Their capital was at Chan Chan outside of modern-day Trujillo. In the highlands, both the Tiahuanaco culture, near Lake Titicaca in both Peru and Bolivia, and the Wari culture, near the present-day city of Ayacucho, developed large urban settlements and wide-ranging state systems between 500 and 1000 AD. In the 15th century, the Incas emerged as a powerful state which, in the span of a century, formed the largest empire in pre-Columbian America with their capital in Cusco. The Incas of Cusco originally represented one of the small and relatively minor ethnic groups, the Quechuas. Gradually, as early as the thirteenth century, they began to expand and incorporate their neighbors. Inca expansion was slow until about the middle of the fifteenth century, when the pace of conquest began to accelerate, particularly under the rule of the great emperor Pachacuti . Under his rule and that of his son, Topa Inca Yupanqui, the Incas came to control upwards of a third of South America, with a population of 9 to 16 million inhabitants under their rule. Pachacuti also promulgated a comprehensive code of laws to govern his far-flung empire, while consolidating his absolute temporal and spiritual authority as the God of the Sun who ruled from a magnificently rebuilt Cusco. 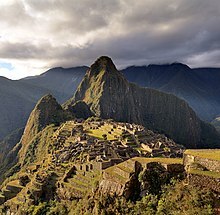 From 1438 to 1533, the Incas used a variety of methods, from conquest to peaceful assimilation, to incorporate a large portion of western South America, centered on the Andean mountain ranges, from southern Colombia to Chile, between the Pacific Ocean in the west and the Amazon rainforest in the east. The official language of the empire was Quechua, although hundreds of local languages and dialects were spoken. The Inca referred to their empire as Tawantinsuyu which can be translated as "The Four Regions" or "The Four United Provinces." Many local forms of worship persisted in the empire, most of them concerning local sacred Huacas, but the Inca leadership encouraged the worship of Inti, the sun god and imposed its sovereignty above other cults such as that of Pachamama. The Incas considered their King, the Sapa Inca, to be the "child of the sun." Atahualpa, the last Sapa Inca became emperor when he defeated and executed his older half-brother Huascar in a civil war sparked by the death of their father, Inca Huayna Capac. In December 1532, a party of conquistadors led by Francisco Pizarro defeated and captured the Inca Emperor Atahualpa in the Battle of Cajamarca in 1532. The Spanish conquest of the Inca Empire was one of the most important campaigns in the spanish colonization of the Americas. After years of preliminary exploration and military conflicts, it was the first step in a long campaign that took decades of fighting but ended in Spanish victory and colonization of the region known as the Viceroyalty of Peru with Lima as its capital which became known as "The City of Kings". The conquest of the Inca Empire led to spin-off campaigns throughout the viceroyalty as well as expeditions towards the Amazon Basin as in the case of Spanish efforts to quell Amerindian resistance. The last resistance was suppressed when the Spaniards took hold of the last Inca stronghold of Vilcabamba in 1572. The indigenous population dramatically collapsed due to exploitation, socioeconomic change and epidemic diseases introduced by the Spanish. Viceroy Francisco de Toledo reorganized the country in the 1570s with gold and silver mining as its main economic activity and Amerindian forced labor as its primary workforce. With the discovery of the great silver and Gold lodes at Potosí (present-day Bolivia) and Huancavelica, the viceroyalty flourished as an important provider of mineral resources. 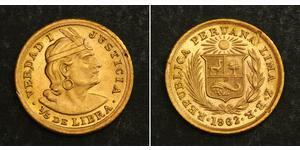 Peruvian bullion provided revenue for the Spanish Crown and fueled a complex trade network that extended as far as Europe and the Philippines. Because of lack of available work force, African slaves were added to the labor population. The expansion of a colonial administrative apparatus and bureaucracy paralleled the economic reorganization. With the conquest started the spread of Christianity in South America, most people were forcefully converted to Catholicism taking only a generation to convert the population. They built churches in every city and replaced some of the Inca temples into churches such as the Coricancha in the city of Cusco. The church employed the Inquisition making use of torture to make sure that newly converted Catholics do not stray to other religions or believes. Peruvian Catholicism follows the syncretism found in many Latin American countries, in which religious native rituals have been integrated with Christian celebrations. In this endeavor, the church came to play an important role in the acculturation of the natives, drawing them into the cultural orbit of the Spanish settlers. By the 18th century, declining silver production and economic diversification greatly diminished royal income. In response, the Crown enacted the Bourbon Reforms, a series of edicts that increased taxes and partitioned the Viceroyalty. The new laws provoked Túpac Amaru II's rebellion and other revolts, all of which were suppressed. As a result of these and other changes, the Spaniards and their creole successors came to monopolize control over the land, seizing many of the best lands abandoned by the massive native depopulation. However, the Spanish did not resist the Portuguese expansion of Brazil across the meridian. The Treaty of Tordesillas was rendered meaningless between 1580 and 1640 while Spain controlled Portugal. The need to ease communication and trade with Spain led to the split of the viceroyalty and the creation of new viceroyalties of New Granada and Rio de la Plata at the expense of the territories that formed the viceroyalty of Peru which reduced the power, prominence and importance of Lima as the viceroyal capital and shifted the lucrative Andean trade to Buenos Aires and Bogotá, while the fall of the mining and textile production accelerated the progressive decay of the Viceroyalty of Peru. After fighting for the independence of the Viceroyalty of Rio de la Plata, José de San Martín created the Army of the Andes and crossed the Andes in 21 days, a great accomplishment in military history. Once in Chile he joined forces with Chilean army General Bernardo O’Higgins and liberated the country in the battles of Chacabuco and Maipú in 1818. On 7 September 1820, a fleet of eight warships landed in the port of Paracas under the command of general Jose de San Martin and Thomas Cochrane who was serving in the Chilean Navy. Immediately on 26 October they took control of the town of Pisco. San Martin settled in Huacho on 12 November, where he established his headquarters while Cochrane sailed north blockading the port of Callao in Lima. At the same time in the north, Guayaquil was occupied by rebel forces under the command of Gregorio Escobedo. Because Peru was the stronghold of the Spanish government in South America, San Martin’s strategy to liberate Peru was to use diplomacy. 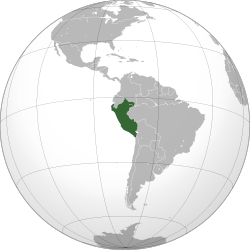 He sent representatives to Lima urging the Viceroy that Peru be granted independence, however all negotiations proved unsuccessful. Between the 1840s and 1860s, Peru enjoyed a period of stability under the presidency of Ramón Castilla through increased state revenues from guano exports. However, by the 1870s, these resources had been depleted, the country was heavily indebted, and political in-fighting was again on the rise. Peru embarked on a railroad-building program that helped but also bankrupted the country. In 1879, Peru entered the War of the Pacific which lasted until 1884. Bolivia invoked its alliance with Peru against Chile. The Peruvian Government tried to mediate the dispute by sending a diplomatic team to negotiate with the Chilean government, but the committee concluded that war was inevitable. Chile declared war on 5 April 1879. Almost five years of war ended with the loss of the department of Tarapacá and the provinces of Tacna and Arica, in the Atacama region. Two outstanding military leaders throughout the war were Francisco Bolognesi and Miguel Grau. Originally Chile committed to a referendum for the cities of Arica and Tacna to be held years later, in order to self determine their national affiliation. However, Chile refused to apply the Treaty, and both countries could not determine the statutory framework. After the War of the Pacific, an extraordinary effort of rebuilding began. The government started to initiate a number of social and economic reforms in order to recover from the damage of the war. Political stability was achieved only in the early 1900s. Between 1932 and 33, Peru was engulfed in the Year-Long War with Colombia over a territorial dispute involving the Amazonas department and its capital Leticia. Later in 1941, Peru became involved in the Ecuadorian-Peruvian War , afterwards the Rio Protocol sought to formalize the boundary between those two countries. Internal struggles after the war were followed by a period of stability under the Civilista Party, which lasted until the onset of the authoritarian regime of Augusto B. Leguía. The Great Depression caused the downfall of Leguía, renewed political turmoil, and the emergence of the American Popular Revolutionary Alliance (APRA). The rivalry between this organization and a coalition of the elite and the military defined Peruvian politics for the following three decades. A final peace treaty in 1929, signed between Peru and Chile called the Treaty of Lima returned Tacna to Peru. In a military coup on 29 October, Gen. Manuel A. Odria became president. Odría's presidency was known as the Ochenio. Momentarily pleasing the oligarchy and all others on the right, but followed a populist course that won him great favor with the poor and lower classes. A thriving economy allowed him to indulge in expensive but crowd-pleasing social policies. At the same time, however, civil rights were severely restricted and corruption was rampant throughout his régime. Odría was succeeded by Manuel Prado Ugarteche. However, widespread allegations of fraud prompted the Peruvian military to depose Prado and install a military junta, led by Ricardo Pérez Godoy. Godoy ran a short transitional government and held new elections in 1963, which were won by Fernando Belaúnde Terry who assumed presidency until 1968. Belaúnde was recognized for his commitment to the democratic process. In 1968, the Armed Forces, led by General Juan Velasco Alvarado, staged a coup against president Fernando Belaunde. Alvarado's regime undertook radical reforms aimed at fostering development, but failed to gain widespread support. In 1975, General Francisco Morales Bermúdez forcefully replaced Velasco, paralyzed reforms, and oversaw the reestablishment of democracy. Peru engaged in a brief successful conflict with Ecuador in the Paquisha War as a result of territorial dispute between the two countries. 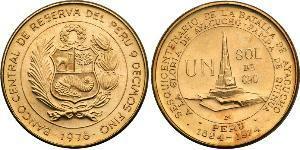 After the country experienced chronic inflation, the Peruvian currency, the sol, was replaced by the Inti in mid-1985, which itself was replaced by the nuevo sol in July 1991, at which time the new sol had a cumulative value of one billion old soles. The per capita annual income of Peruvians fell to $720 (below the level of 1960) and Peru's GDP dropped 20% at which national reserves were a negative $900 million. The economic turbulence of the time acerbated social tensions in Peru and partly contributed to the rise of violent rebel rural insurgent movements, like Sendero Luminoso and MRTA which caused great havoc throughout the country. Concerned about the economy, the increasing terrorist threat from Sendero Luminoso and MRTA, and allegations of official corruption, Alberto Fujimori assumed presidency in 1990. Fujimori implemented drastic measures that caused inflation to drop from 7,650% in 1990 to 139% in 1991. Faced with opposition to his reform efforts, Fujimori dissolved Congress in the auto-golpe of 5 April 1992. He then revised the constitution; called new congressional elections; and implemented substantial economic reform, including privatization of numerous state-owned companies, creation of an investment-friendly climate, and sound management of the economy. Fujimori's administration was dogged by insurgent groups, most notably Sendero Luminoso, which carried out terrorist campaigns across the country throughout the 1980s and 1990s. Fujimori cracked down on the insurgents and was successful in largely quelling them by the late 1990s, but the fight was marred by atrocities committed by both the Peruvian security forces and the insurgents: the Barrios Altos massacre and La Cantuta massacre by Government paramilitary groups, and the bombings of Tarata and Frecuencia Latina by Sendero Luminoso. Those examples subsequently came to be seen as symbols of the human rights violations committed during the last years of violence. During that time in early 1995, once again Peru and Ecuador clashed in the Cenepa War, but in 1998 the governments of both nations signed a peace treaty that clearly demarcated the international boundary between them. In November 2000, Fujimori resigned from office and went into a self-imposed exile, avoiding prosecution for human rights violations and corruption charges by the new Peruvian authorities. Since the end of the Fujimori regime, Peru has tried to fight corruption while sustaining economic growth. On 28 July 2006 former president Alan García became President of Peru after winning the 2006 elections. In May 2008, Peru became member of the Union of South American Nations. Peru is a Presidential representative democratic republic with a multi-party system. Under the current constitution, the President is the head of state and government; he or she is elected for five years and can only seek re-election after standing down for at least one full term and during his term. The President designates the Prime Minister and, with his advice, the rest of the Council of Ministers. Congress is unicameral with 130 members elected for a five-year term. Bills may be proposed by either the executive or the legislative branch; they become law after being passed by Congress and promulgated by the President. The judiciary is nominally independent, though political intervention into judicial matters has been common throughout history and arguably continues today. Peruvian foreign relations have been dominated by border conflicts with neighboring countries, most of which were settled during the 20th century. Recently, Peru disputed its maritime limits with Chile in the Pacific Ocean. Peru is an active member of several regional blocs and one of the founders of the Andean Community of Nations. It is also a participant in international organizations such as the Organization of American States and the United Nations. Javier Pérez de Cuéllar served as UN Secretary General from 1981 to 1991. Former President Fujimori’s tainted re-election to a third term in June 2000 strained Peru's relations with the United States and with many Latin American and European countries, but relations improved with the installation of an interim government in November 2000 and the inauguration of Alejandro Toledo in July 2001 after free and fair elections. The economy of Peru is classified as upper middle income by the World Bank and is the 39th largest in the world. Peru is, as of 2011, one of the world's fastest-growing economies owing to the economic boom experienced during the 2000s. It has a high Human Development Index of .752 based on 2011 data; Historically, the country's economic performance has been tied to exports, which provide hard currency to finance imports and external debt payments. Although they have provided substantial revenue, self-sustained growth and a more egalitarian distribution of income have proven elusive. According to 2010 data, 31.3% of its total population is poor, including 9.8% that lives in extreme poverty. Inflation in 2012 was the lowest in Latin America at only 1.8%, but increased in 2013 as oil and commodity prices rose; as of 2014 it stands at 2.5%. The unemployment rate has fallen steadily in recent years, and as of 2012 stands at 3.6%. With about 29.5 million inhabitants, Peru is the fifth most populous country in South America. Its demographic growth rate declined from 2.6% to 1.6% between 1950 and 2000; population is expected to reach approximately 42 million in 2050. As of 2007, 75.9% lived in urban areas and 24.1% in rural areas. Major cities include Lima Metropolitan Area (home to over 9.8 million people), Arequipa, Trujillo, Chiclayo, Piura, Iquitos, Cusco, Chimbote, and Huancayo; all reported more than 250,000 inhabitants in the 2007 census. There are 15 uncontacted Amerindian tribes in Peru. According to the Peruvian Constitution of 1993, Peru's official languages are Spanish and, Amerindian languages such as Quechua, Aymara and other such indigenous languages in areas where they predominate. The language percentage of the country is Spanish, spoken by 84.1% of the population, Quechua-13%, and other languages while other languages make up 2.9% of the languages in the country. Spanish is used by the government and is the mainstream language of the country which is used by the media and in educational systems and commerce. Amerindians who live in the Andean highlands speak Quechua and Aymara and are ethnically distinct from the diverse indigenous groups who live on the eastern side of the Andes and in the tropical lowlands adjacent to the Amazon basin. Peru's distinct geographical regions are mirrored in a language divide between the coast where Spanish is more predominant over the Amerindian languages, and the more diverse traditional Andean cultures of the mountains and highlands. The indigenous populations east of the Andes speak various languages and dialects. Some of these groups still adhere to traditional indigenous languages, while others have been almost completely assimilated into the Spanish language. There has been an increasing and organized effort to teach Quechua in public schools in the areas where Quechua is spoken. In the Peruvian amazon, various indigenous languages are also spoken such as Asháninka, Bora, Aguaruna and many more. In the 2007 census, 81.3% of the population over 12 years old described themselves as Catholic, 12.5% as Evangelical, 3.3% as of other denominations such as Protestantism, Judaism, The Church of Jesus Christ of Latter-day Saints (LDS Church), and Jehovah's Witness, and 2.9% as non-religious. Literacy was estimated at 92.9% in 2007; this rate is lower in rural areas (80.3%) than in urban areas (96.3%). Primary and secondary education are compulsory and free in public schools. Amerindian religious traditions also play a major role in the beliefs of Peruvians. Catholic festivities like Corpus Christi or holy week and Christmas sometimes blend with Amerindian traditions which show the unification of the indigenous peoples' impression with the Christian faith. Amerindian festivities which were celebrated since pre-Columbian times are also widespread throughout the nation. Inti Raymi, which is an old Inca festival, is still celebrated. The majority of towns, cities and villages have its own official cathedral or church and patron saint. ^ a b "Ethnic groups of Perú". CIA Factbook. Retrieved 30 October 2013. ^ a b c d "Peru". International Monetary Fund. Retrieved 24 October 2014. ^ UN: Peru Posts One of Region’s Best Reductions in Poverty in 2011. Andean Air Mail and Peruvian Times, 28 November 2012. ^ Vega, Garcilasco, Commentarios Reales de los Incas, Editoriial Mantaro, Lima, ed. 1998. pp.14-15. First published in Lisbon in 1609. ^ Haas, Jonathan, Creamer, Winifred and Ruiz, Alvaro (2004). "Dating the Late Archaic occupation of the Norte Chico region in Peru". Nature 432: 1020–1023. doi:10.1038/nature03146. PMID 15616561. ^ Peru Pre-Inca Cultures. Retrieved 27 July 2014. ^ "The Inca." at the Wayback Machine (archived 10 November 2009) The National Foreign Language Center at the University of Maryland. 29 May 2007. Retrieved 27 July 2014. ^ (Spanish) Suárez, Margarita. Desafíos transatlánticos. Lima: FCE/IFEA/PUCP, 2001, pp. 252–253. ^ Peru Peru. Retrieved 27 July 2014. ^ The Economist, Peru. Retrieved 27 July 2014. ^ (Spanish) Congreso de la República del Perú, Grupos Parlamentarios. Retrieved 27 August 2011. ^ BBC News, Peru–Chile border row escalates. Retrieved 16 May 2007. ^ Andes Handbook, Huascarán. 2 June 2002. ^ The World Bank, Data by country: Peru. Retrieved on 1 October 2011. ^ BBC, Peru country profile. Retrieved on 1 October 2011. 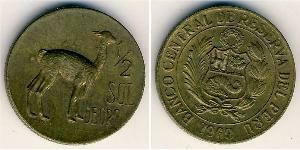 ^ (Spanish) Banco Central de Reserva, Producto bruto interno por sectores productivos 1951–2006. Retrieved 27 December 2010. ^ 2006 figures. (Spanish) Banco Central de Reserva, Memoria 2006, p. 204. Retrieved 27 December 2010. ^ (Spanish) Banco Central de Reserva, Memoria 2006, pp. 15, 203. Retrieved 27 December 2010. ^ 2006 figures. (Spanish) Banco Central de Reserva, Memoria 2006, pp. 60–61. Retrieved 27 December 2010. ^ United Nations, World Population Prospects PDF (2.74 MB), pp. 44–48. Retrieved 29 July 2007. ^ Romero, Raúl "Andean Peru", p. 385–386. ^ Romero, Raúl "La música tradicional y popular", pp. 263–265. ^ Romero, Raúl "La música tradicional y popular", pp. 243–245, 261–263.